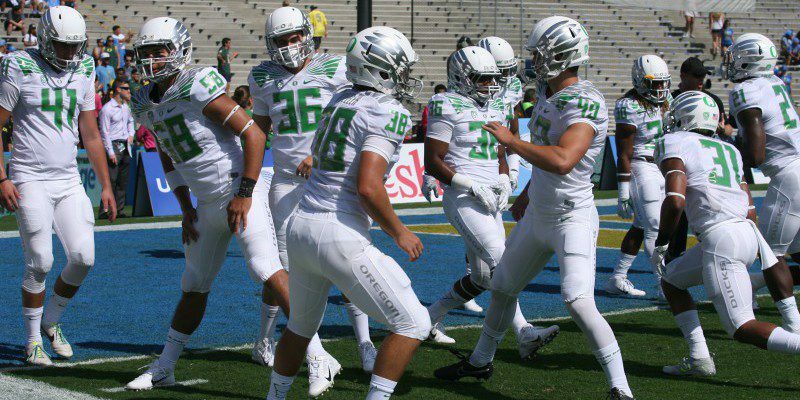 Though he doesn’t plan to slow down for anyone, Oregon offensive coordinator Scott Frost isn’t counting on the quack attack’s trademark tempo taking Ohio State by surprise. 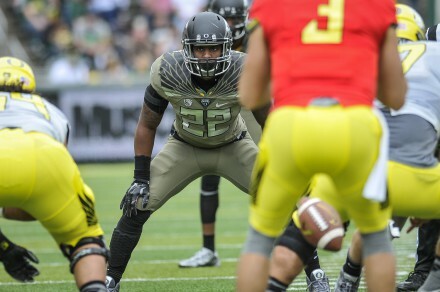 The Oregon offense is used to sending defenses reeling with its patented barrage of quick and deadly play calls, a strategy which can rapidly put a poorly conditioned defense back on its heels with hands on hips and heads spinning, but the Ducks OC expects to need to do more than just go fast on Monday. Ohio State shared a division with the newly sped up offense at Indiana this year, and with Bill O’Brien’s “NASCAR” attack at Penn State last year, and though the Midwest is hardly a mecca of the no-huddle, the Ducks feel they’ll be facing a more prepared opponent this week than last. Said Frost after Oregon’s first full pads practice of the week yesterday, “they (the Buckeyes) see tempo all the time. They look like they’re in condition. So we’re not expecting to have the same advantage in this one.” That might worry some people, who may be thinking the Ducks need every advantage they can get. Ohio State is the only football team in the country with 8 or more wins and no losses against Oregon at 8-0 all-time, including a 26-17 victory in the 2010 Rose Bowl, and though the Ducks average a 27 point victory over ranked teams this season, Oregon has never scored more than 17 points against OSU. Preparing a practice schedule for the week before a National Championship game during the summer beforehand might seem like premeditated arrogance for some teams. In Eugene, it was just prudence.